Your Weekly Insurance Claim Summary: July 24 - 30 | The Voss Law Firm, P.C. Flood Coverage Differs on Insurance Policies Many homeowners believe that the moment they purchase homeowners insurance, the property is fully covered should any tragic incident occur. The season of summer calls for backyard fun and neighborhood barbecues. It is also a time to keep a lot of ice in the freezer for quick filling of coolers and ice buckets. A leaking ice maker can lead to a lot of property damage for a homeowner, especially if the leak goes undetected. This Weekly Insurance Claim Update will address the concerns of using an ice maker, and how a person can proactively maintain this type of device. Built-in ice makers, found in fridges/freezers, are a convenient consumer device. They are an automated system that allows a person to fill their glass full of ice cubes or crushed ice without messing with trays or molds. While using one is easy, they are also known to leak and cause severe water damage to a kitchen or house. There are a number of reason for why an ice maker may leak. A water line or fill tube could freeze or have a hole in it, a broken valve may cause an overflow issue, or signs of corrosion within the device may exist. 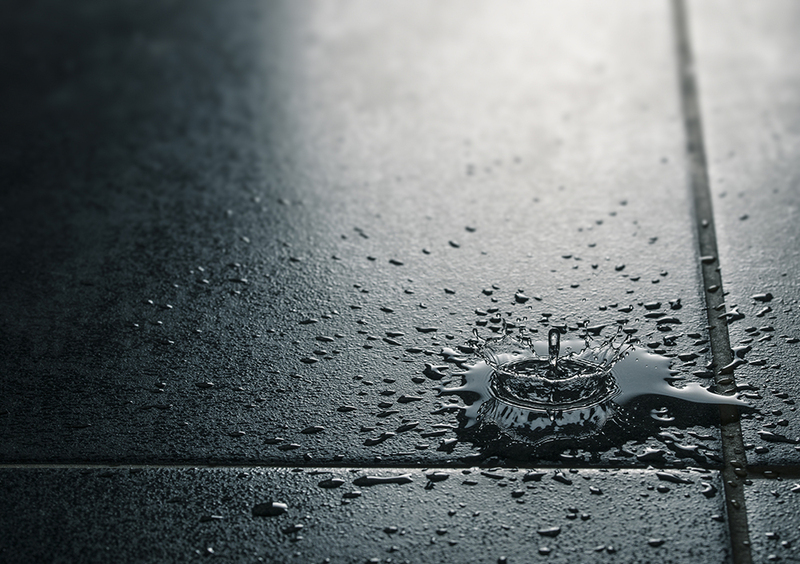 Leaking water can lead to flooring problems, drywall damage, and the need to file an insurance claim. Ice makers that leak have been known to damage kitchen flooring and flood lower levels as the water drips and seeps through floorboards, moldings, drywall, insulation, and ceiling tiles. Proper maintenance of an ice maker is the best way to keep it in good working order and also avoid a water claim due to leaking troubles. A homeowner should read their ice maker’s instruction manual and follow procedures regarding cleaning and maintaining the device. Leak detection alarms are available for ice makers and are very sensitive. These alarms can detect the faintest drop of water. They will alert a homeowner immediately if there is an issue. Early detection of a problem will hopefully save time and money, and keep damages to a minimum. If an ice maker is leaking, a homeowner should try to detect the leak’s source as soon as possible. It is also a good idea to turn of the water supply. Contact us if you have water damage due to a leaking ice maker and need assistance with the claims handling process.